Boil the rest of the noodles, cooking as directed on the package. Place a serving of boiled noodles on a plate, and pour the gravy mixture over it. Top with crispy fried noodles. Accompany with a small bowl of chopped shallots, pickled mustard green, and lime. (Hint: add a touch of Thai chile oil for great flavor and aroma). Enjoy! Hello Nancy. Thanks for your comment. We also got an email from Thailand, same time as your comment, that our Khao Soi looks too dark. The recipe is authentic but perhaps some chefs use more or less of the dark soy? I'm sure they also use some chicken stock and not all coconut milk. Yes it is a lot thinner in Thailand and much darker. The soup is cooked for longer than in this recipe. still i have tried it as above and its great. 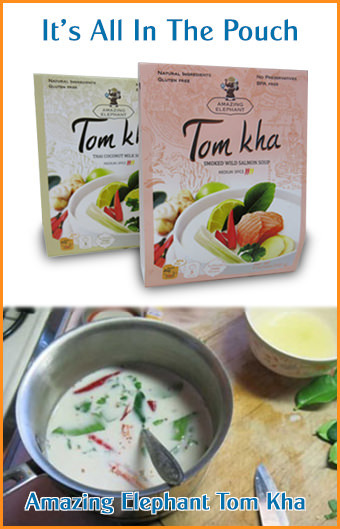 This recipe does not contain the Cardamom, brn sugar and Garam Masala, which gives it the authentic Chiang Mai flavor. This is ONE of my favorite Thai dishes, I love my native Indonesian food but I have a real soft spot for Thai. I've never made this recipe but I just had a huge bowl of it from my favorite Thai restaurant in Keene, NH....we had a Rodi salad to go with it...soooo good. This is a stunning dish!! It is so yummy!! I had it when we stayed at the beatutiful Secret Garden in Chiang Mai. When the owner found out I was vegetarian, she made a veggie version of this for me, and served everyone else the non-veg version. Every single person - must have been 20 of us, went back for seconds...mmmm. This is dish that we personally loved very much when we were in Chiang Mai. Thank you very much for this recipe. We still taste this extremely delicious dish!!! tq a lots sound gr8,will try soon..reminds me the trip bk to pataya n the street vendors selling yummy goodies n hot tasty soups n salad n fresh fruits too,fill so healhty to c this country n enjoy the trip Always,thank you alot 4 this pretty lovely recepies,,kapung kaap! What if we use flat rice noodles?will it become too soggy?